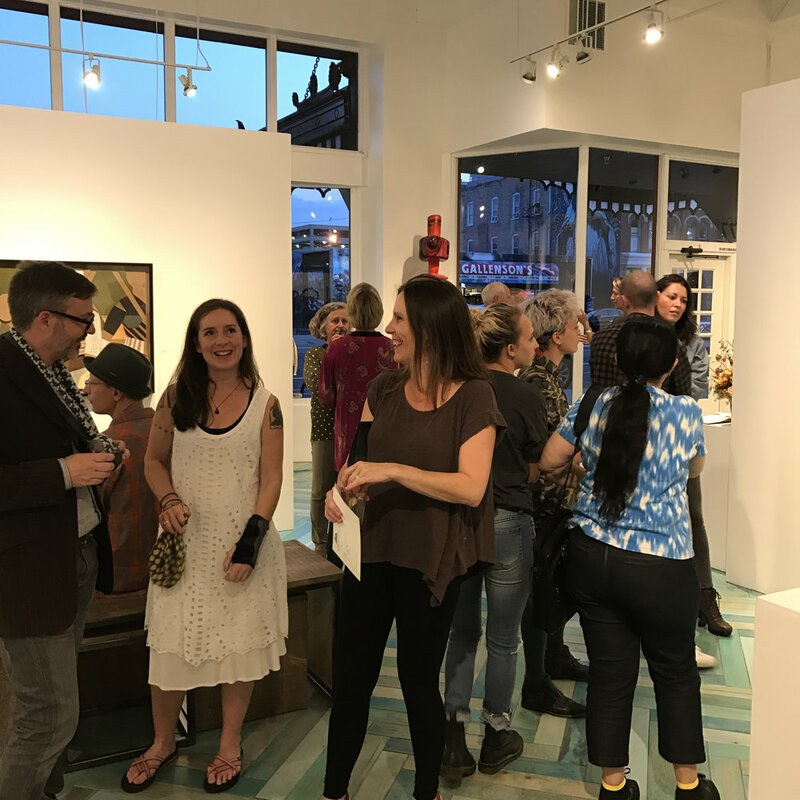 Thank you to everyone who attended our September Gallery Stroll featuring March by Jann Haworth. Inspired by the 2017 Women’s March in Washington, D.C., and her 2009 single frame comic strip featuring women of distinction, Mannequin Defectors, Haworth’s current body of work is an integration of her past concepts informing new ideas. Pushing the boundaries of the medium of discarded materials, she uses cardboard to echo the possibilities of protest. 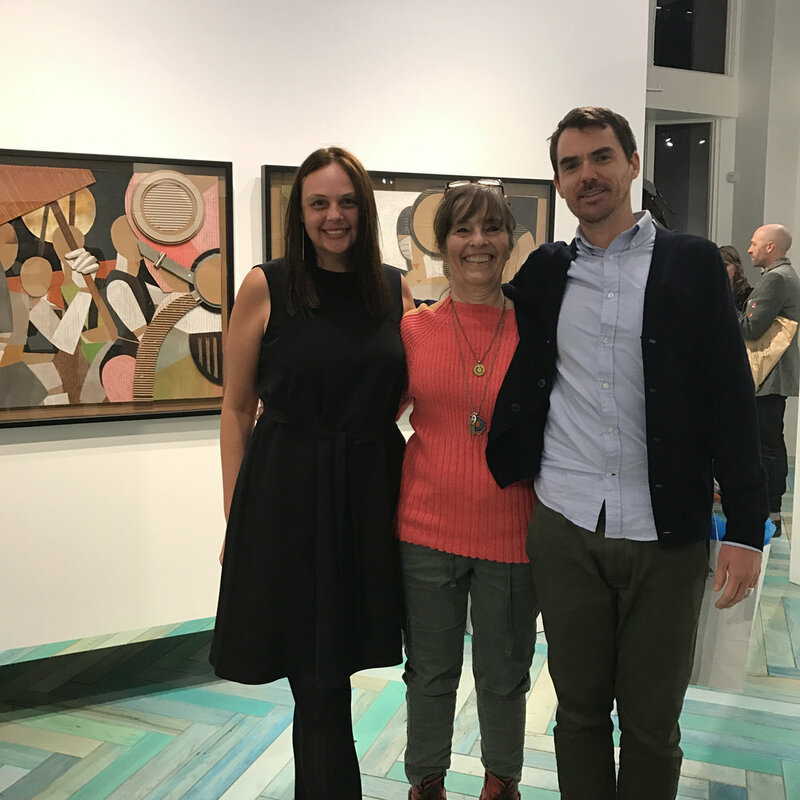 These mixed media pieces utilize peripheral and fringe materials and invite the viewer to reexamine the potential of artistic mediums and how it speaks to the subject matter. The exhibition will be on display through October 14, 2017.